One of the highlights (or maybe THE highlight) of Super Bowl 53 was the NFL 100 commercial aired at halftime. The ad spot brought together some of the league’s biggest names from both the past and the present, showing them throwing around the ole’ pig skin at an upscale NFL 100 event. 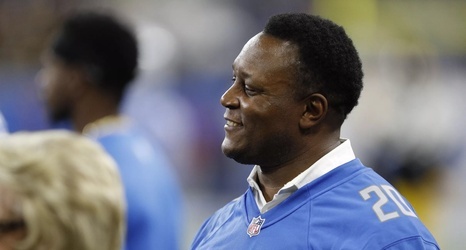 A notable inclusion was former Detroit Lions running back Barry Sanders, who is seen grabbing a lateral from Los Angeles Rams running back Todd Gurley before making two men miss and darting into open space.